A DIY Hosted by the ever talented Brittany, with Mariposa Events! 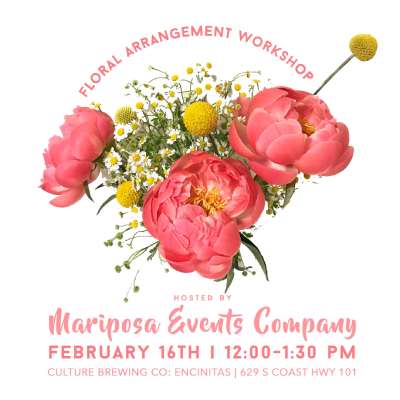 $40 includes instruction, flowers, a take home project, and a beer! This event has limited space, so be sure to buy your ticket now!